We design & install systems utilizing the latest technology that will secure your property & facilities. Controlled, regulated access to key areas is easier than ever with scalable, professional access control systems. 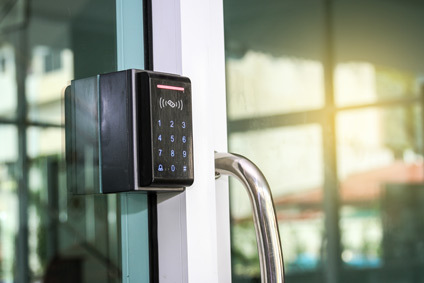 You can count on our experience and expertise to select the technology and hardware that meets your needs, whether it's one external door, a parking lot gate, or multiple areas inside a complex. From traditional keypads to systems utilizing sophisticated computerized supervision, we design access plans to meet your goals, on time and on budget. Whether small- to medium-sized businesses to large multi-site organizations, our solutions are tailored to your security goals.